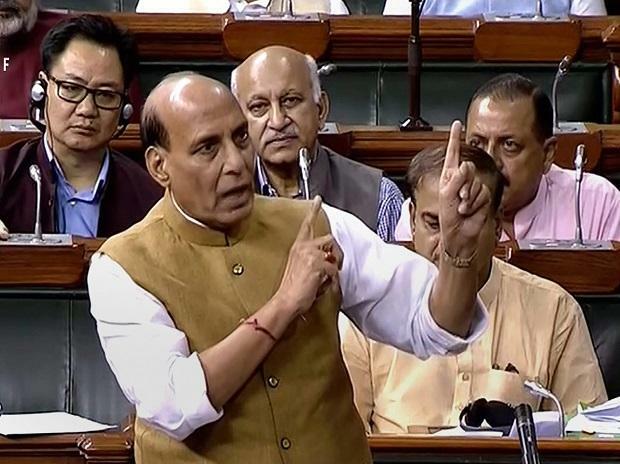 A Group of Ministers (GoM), headed by Home Minister Rajnath Singh, discussed on Wednesday the recommendations of a panel set up to suggest ways to check incidents of lynching, officials said. One of the key recommendations of the committee of secretaries, headed by Union Home Secretary Rajiv Gauba, is to put to task country heads of the social media platforms sites. This was the first meeting of the GoM and the ministers were briefed about the recommendations of the committee, a home ministry official said. The panel is also believed to have recommended tightening of law by inserting clauses in the Indian Penal Code and the Code of Criminal Procedure through parliamentary approval. The GoM is expected to hold further meetings over the next few weeks to finalise its recommendations and would subsequently the same to Prime Minister Narendra Modi for a final decision, the official said. The members of the GoM are External Affairs Minister Sushma Swaraj, Transport Minister Nitin Gadkari, Law Minister Ravi Shankar Prasad and Social Justice and Empowerment Minister Thawar Chand Gehlot. Home Minister Rajnath Singh heads the GoM. The GoM and the committee of secretaries were set up after nearly 40 people were lynched in nine states in the past one year. In July, the Home Ministry had issued advisories to states and union territories following Supreme Court's directives to check incidents of lynching. The Centre had also asked them to appoint an officer in each district at the level of Superintendent of Police, set up a special task force to gather intelligence, and closely monitor social media to prevent mob attacks on suspicion of being child-lifters or cattle smugglers. Such instances of persons taking the law in their hands run against the basic tenets of the rule of law, it had said. "All state governments, UT administrations and their law enforcement agencies are requested to implement the directions of theSupreme Courtin letter and spirit," it said.